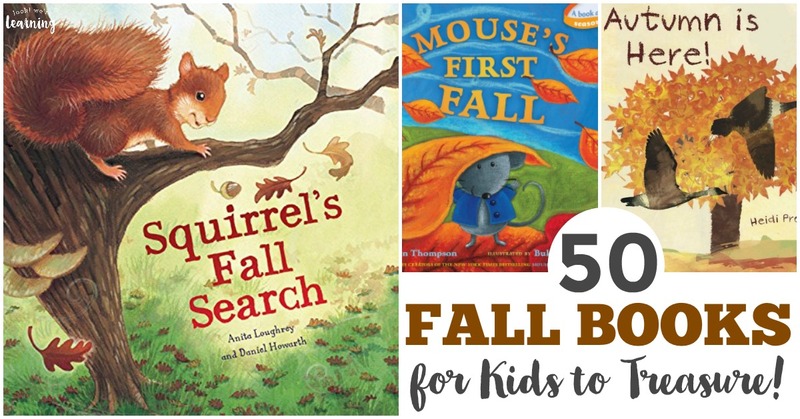 50 Gorgeous Fall Books for Kids to Treasure - Look! We're Learning! Can you smell it? That’s the smell of fall in the air! Fall is my absolute favorite season of all. The air gets cooler, the leaves start to turn colors, and you just feel like baking delicious food and snuggling up with family. It’s beautiful. So what better time is there to read gorgeous picture books with the kids? 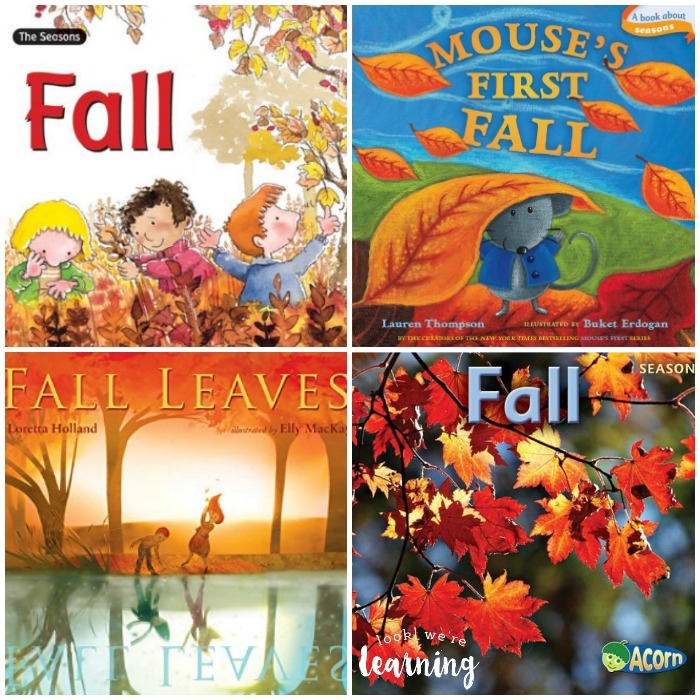 Get your kids ready for the autumn with these 50 beautiful fall books for kids! They’re packed with lovely illustrations and heartwarming stories children will love! There are a TON of ways to make fall into a learning experience with children. Check out this list of 50 free fall printables for kids and pick up a set of our free Leaf Identification Flashcards or our Fall Printable Reading Journal for Kids! BONUS! 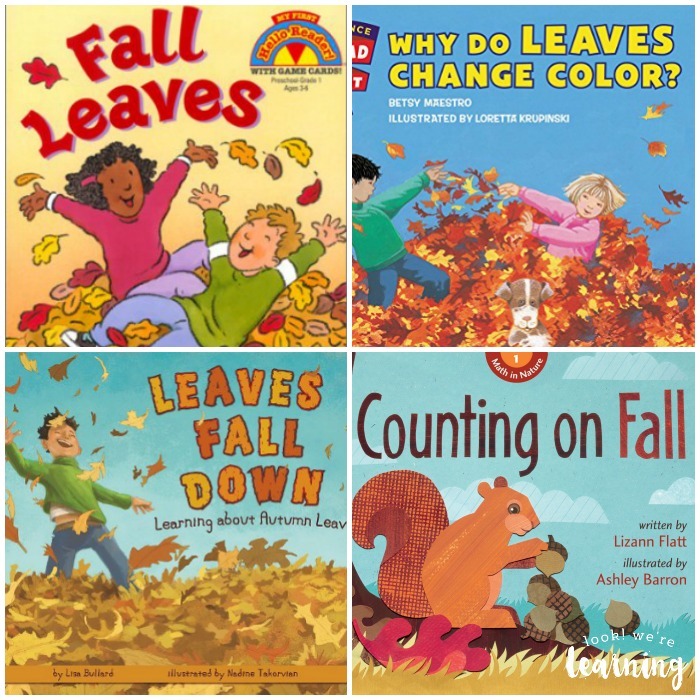 Want to keep track of all the fall books for kids you read this autumn? 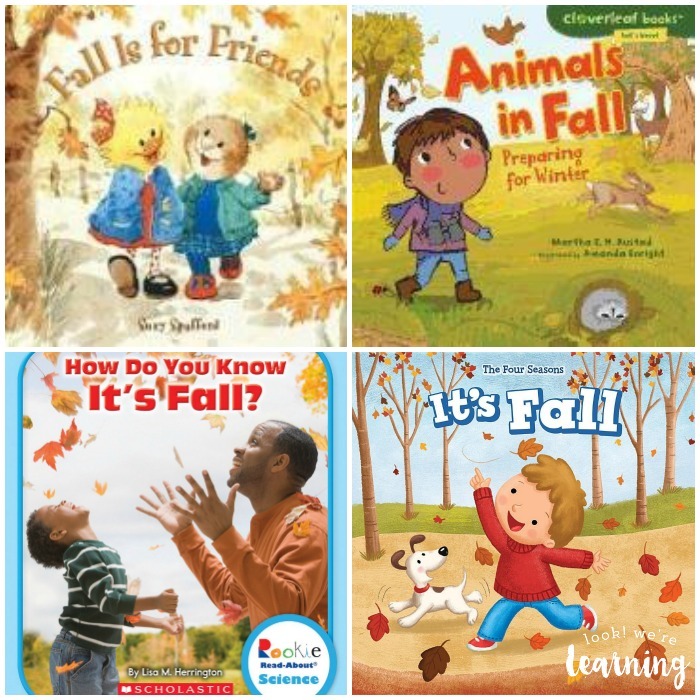 Grab the printable fall booklist for kids further down in this post! Raising readers is an important part of our homeschooling journey. We want our kids to be able to read, not just for school, but for life. 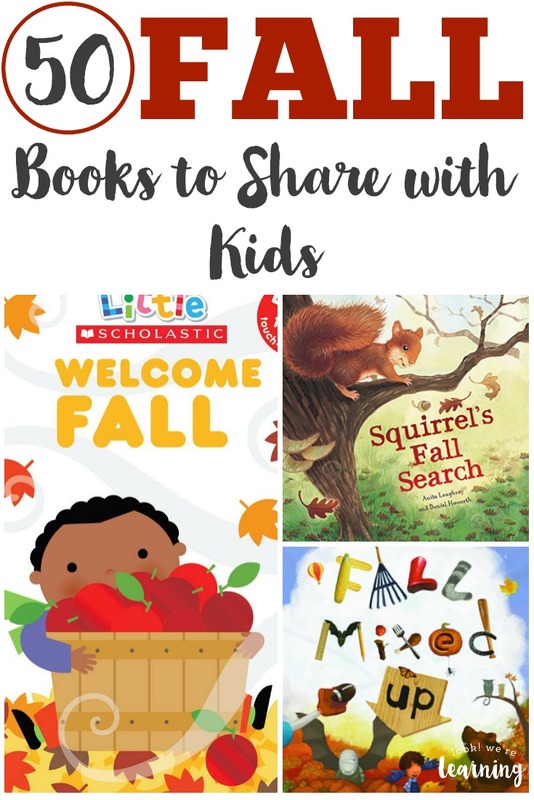 Since fall is such a cozy season for families, I thought these beautiful fall books for kids would be awesome to share with you all. I hope you love them as much as we do! 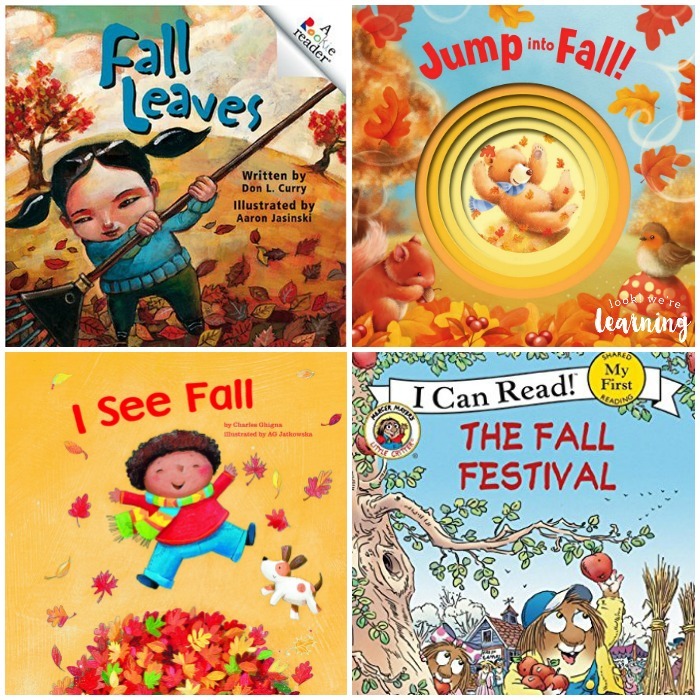 See more gorgeous fall books for kids and score your free printable fall booklist on page 2!